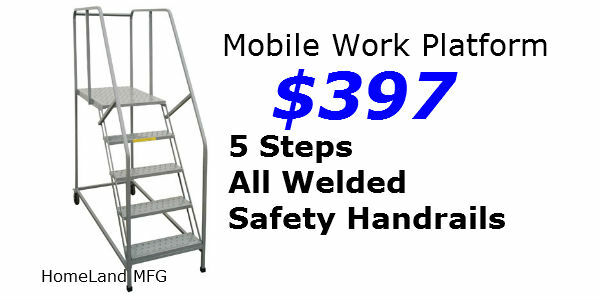 TILT ROLL WORK PLATFORM, this is our BEST mobile MAINTENANCE WORK LADDER. 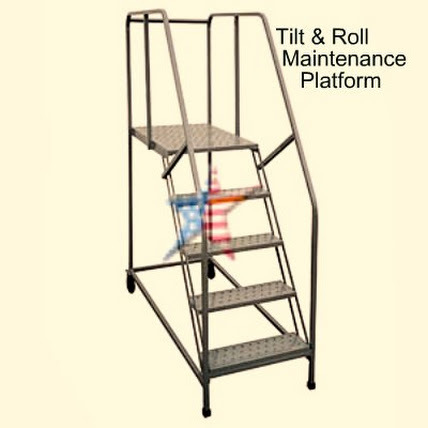 It utilizes a tilt and roll design. 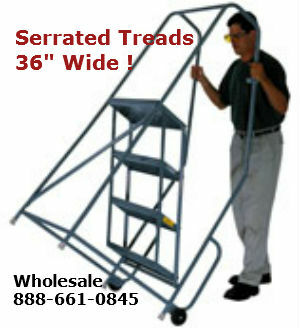 It is a quick and easy placement to the areas you need them without the need for a permanent work station. 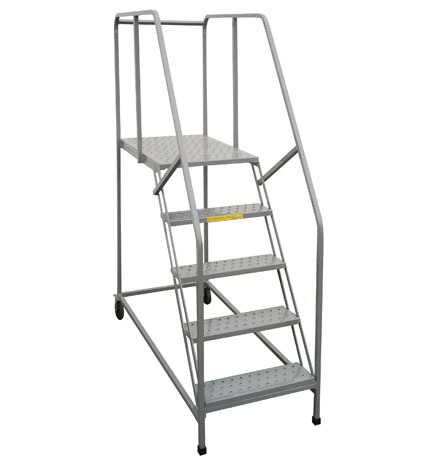 They provide a safe and stable elevated working surface for those hard to reach operations. 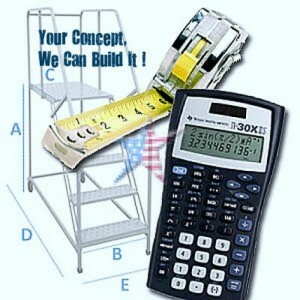 We can Galvanize these or make Aluminum Tilt & Roll Ladders TOO. We can build these with longer and larger tops. 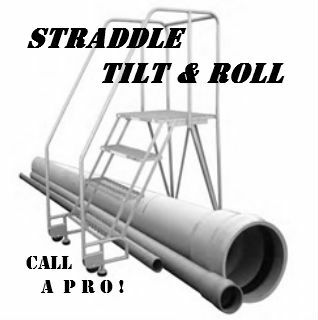 Specify STRADDLE Style When Ordering!